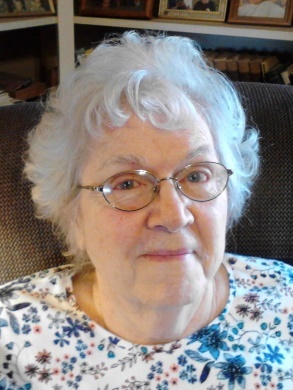 Loreine Turley Despain passed away on Monday, January 5, 2015 in Mesa at the age of 78. She was born February 8, 1936 in Woodruff, AZ to Wallace Mar and Margaret Wimmer Turley. Loreine graduated from Mesa High School, then attended college at Dixie State as well as BYU. She served a mission for the Church of Jesus Christ of Latter-day Saints in the British Isles, serving in England, Wales, and Scotland. Loreine married Robert Lee Cusick June 29, 1963 in Mesa. He was serving in the US Airforce at Williams Field. They then served at Rosieres-en-Haye, France where she taught the servicemen’s children school and gave birth to her first two children, Ivan and Warren. Later, two more children, Julianne and Gary were born in Mesa while Robert was away serving in Thailand and Japan. This marriage later ended. After being single for 5 years, Loreine married Claude Henry Despain March 12, 1982 in Mesa. With this marriage a family of 14 was created. The next years were spent continuing to raise the children from both spouses. Then for several years, they operated a Post Office Substation in East Mesa. She was an active member of her church and Relief Society and faithfully served in many positions throughout her life. She enjoyed cooking, and would always share her treats with others and especially children and grandchildren. She is survived by her husband, Claude and her children: Ivan, Warren (Nickie), Julianne Orren, and Gary (Audra); her Step-children: Annette (Ron) Smith, Pat Jensen, Laura (Nathan) Burk, Brenda (Ed) Thompson. She is also survived by her brothers: Alan and Wayne Turley, 38 grandchildren and 9 Great-Grandchildren as well as many nieces and nephews. Her parents preceded her in death, along with her sisters Ella Mae Judd and Donna Turley; step-sons: LaMar, Carl, Calvin, and Dean Despain, and grandsons Nathaniel Orren and Ira Jensen. Funeral services will take place Saturday, January 10, 2015 at 10 am with a viewing from 9 to 9:45 at the Mesa South Stake Center located at 2334 East Pueblo Ave, Mesa. Friends may visit at the Bunker Garden Chapel located at 33 N. Centennial Way, Mesa. Friday, January 9 from 6 to 8 PM. Interment will be at Mesa City Cemetery.